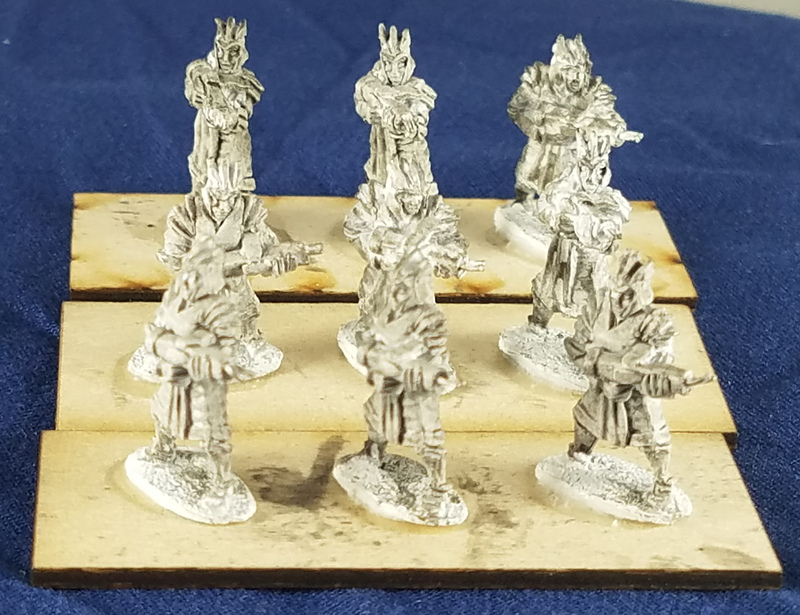 1879: Minis: New Minis pre-KS – FASA Games, Inc. 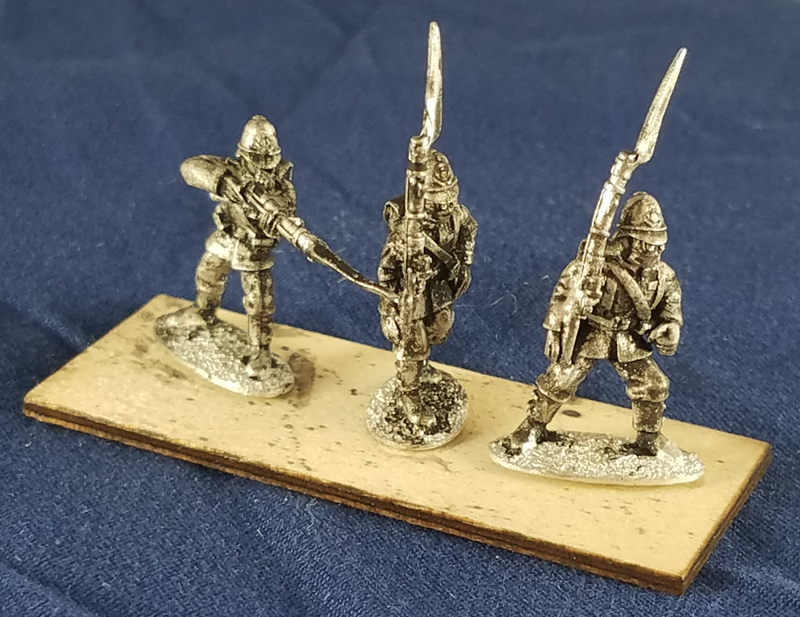 Since we’re launching the Kickstarter for the 1879 Minis British Forcebook and 1879 Minis Samsut Forcebook tomorrow, we figured we’d give you a preview of the new minis that come along with the books. 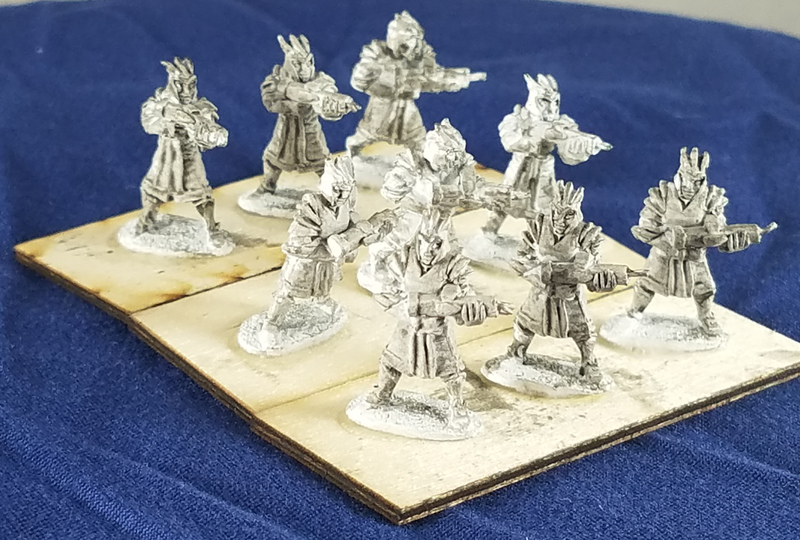 Please excuse the poor technique in priming and wash and photography, the line editor for 1879 isn’t a minis person and is still learning. First off, here’s a set of three British troopers in pith helmets, in varying poses. 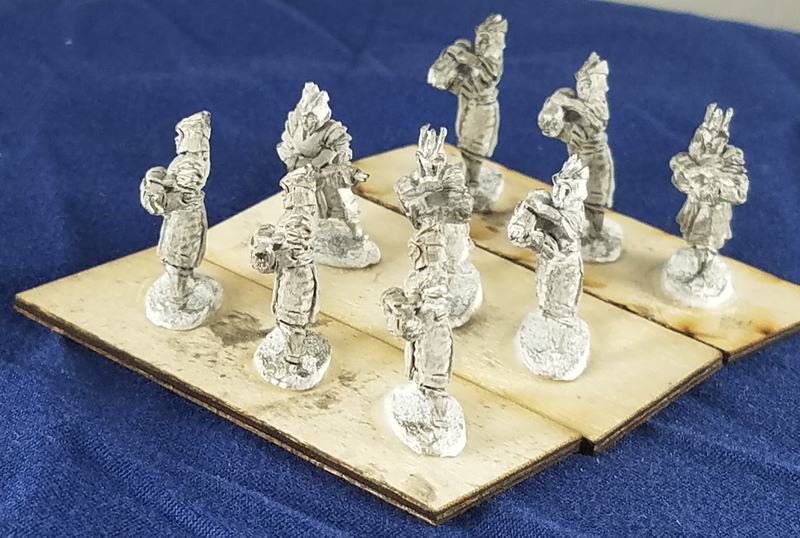 These were done with no primer, just black wash. 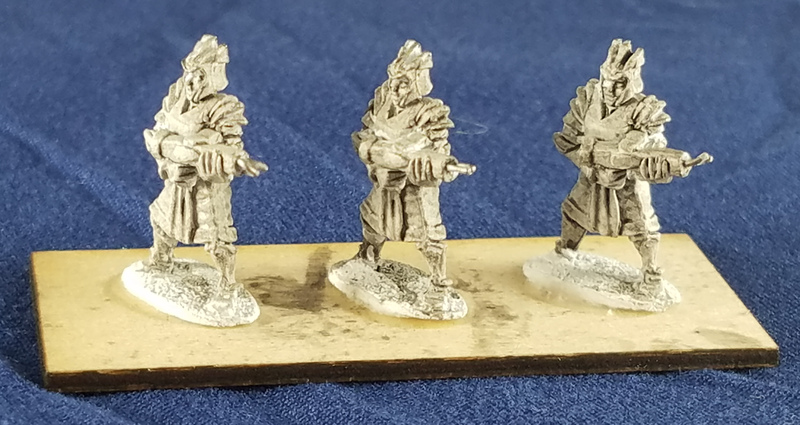 These will be packaged 12 of each pose per packet, as is standard for our 18mm infantry. The British bring a bit of fire support to the battle. Here’s a 12 pounder cannon, with crew. Again, black wash with no primer, not the best of choices but lesson learned. Let’s move on to the Samsut. Time for some living troops to take the field. 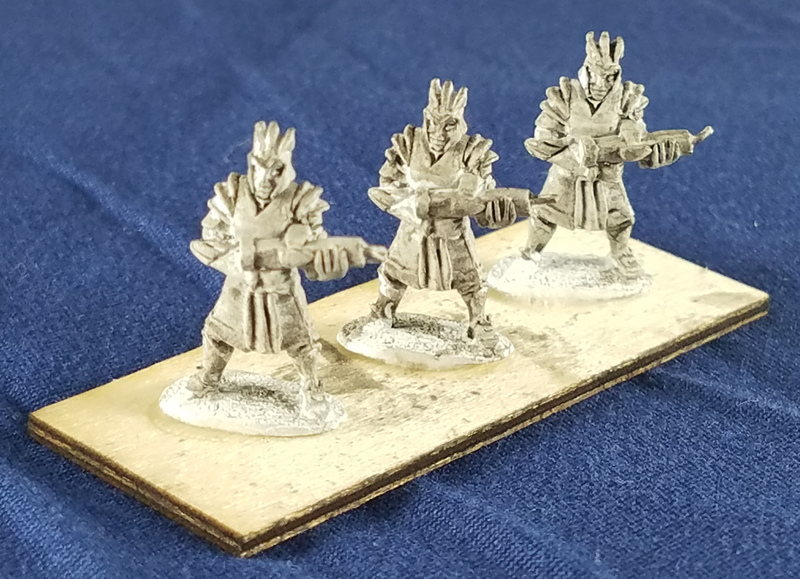 These are Mushkenite heavy infantry, armed with rail guns, done with black wash over white spray on primer. Better results. Here’s another view of the same crew. Only nine troopers in the formation – they must have already taken casualties. One last reminder: the Kickstarter launches tomorrow! We’ll have a special announcement on FB, G+, and Twitter, and follow up posts as the Kickstarter progresses.